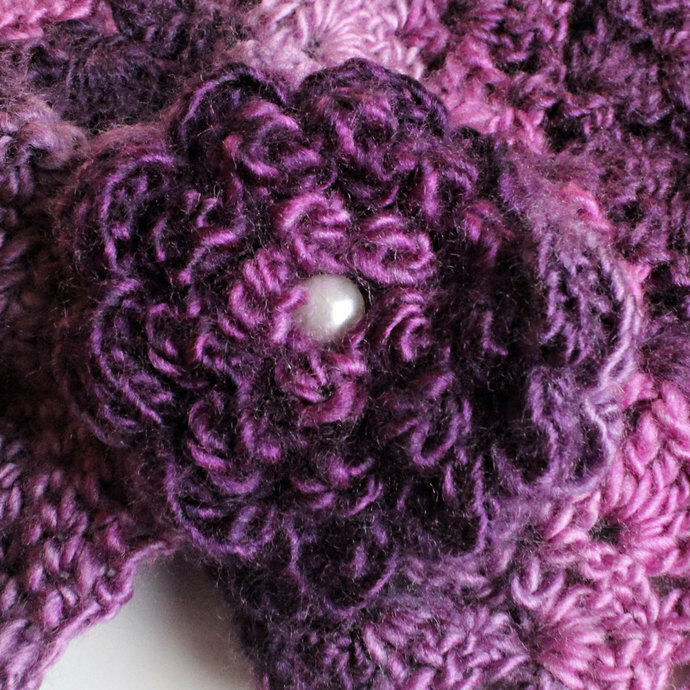 The ends of this crochet flowered cowl feature a loop at one end that cleverly goes around a three-dimensional crocheted "flower" button at the other end. Center of flower rosette is accented white a faux white pearl plastic button. Shells and V-stitches are combined for a feminine look. The splash of color will perk up the dreariest of gray winter days. 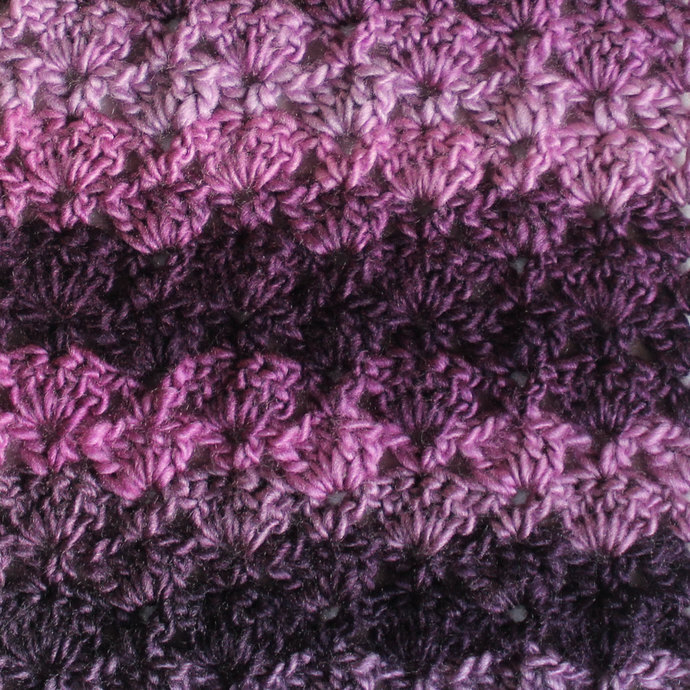 Scarf measures approximately 6" wide (15.24 cm) wide and is 25" (63.5 cm) long. 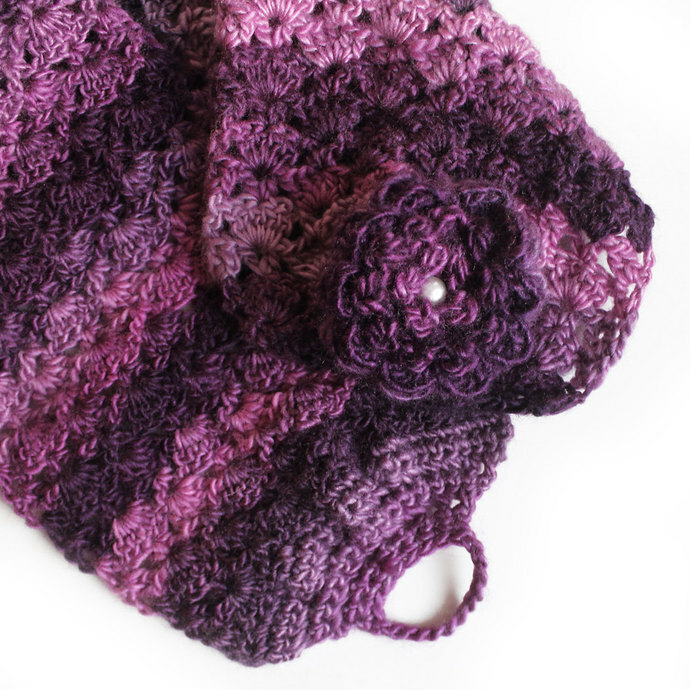 Handmade in Texas from imported (Turkey) 100% acrylic yarn, this crocheted flowered cowl will keep you warm while it adds style to your fall and winter fashion. Fabric Care Instructions: Hand wash; lay flat to dry.